We all are aware of the increasing traffic and congestion problem that leads to pollution and needs some quick fix solutions. A high consumption pattern in big cities is also leading to and promoting the climate change phenomenon. Clean, green and realistic efforts towards a cleaner and greener future in the people-planet-profit mode is the urgent need of the hour. Answering this call and working towards greener future is the world’s well known car manufacturer, Maruti Suzuki which has over time proved to have the distinction of introducing a host of environment friendly programmes ahead of government regulations and the industry. THe company took the lead in implementing End of Life Vehicle (ELV) programme where harmful elements like Lead, Cadmium, Chromium and Mercury are no longer used in making vehicles. Maruti Suzuki produced the first BS-IV and E-10 compliant engines much ahead of regulations coming to force in the country. 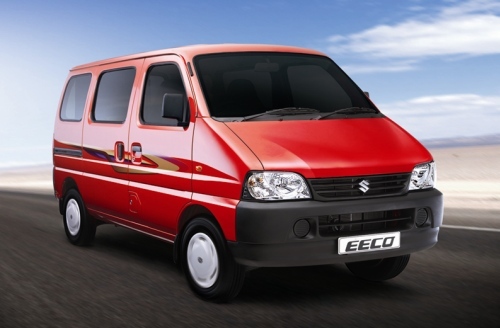 Adding one more feather to their green cap, Maruti Suzuki has launched five factory-fitted CNG models across segments to contribute to a clean environment. The country’s largest car maker recently presented its flagship CNG engine technology, ‘intelligent-Gas Port Injection’ or i-GPI. The five models are SX4, Eeco, WagonR, Estilo and Alto. Promising that i-GPI technology is safe, reliable, clean, responsive and environment friendly, the car company also hopes to utilized this step towards keeping low cost of ownership for their customers. Applauding the initiative, Mr Jairam Ramesh, the Union Environment and Forest minister assured that the Government of India has committed to developing the infrastructure and network of CNG stations across the country. This is in line with government’s aim to reduce the dependence on import of fossil fuels. With the discovery of large gas reserves in the country the network of CNG supplies is set to expand rapidly in near future. Maruti Suzuki’s launch of CNG technology vehicles will help create the ecosystem for use of a clean and cost effective fuel in India. On the world platform, far from the home land on August 16, 2010 in Genève, Solar-Prize winner Louis Palmer has flagged off the Zero Around-the-World in 80 Days Race where four teams of emission-less vehicles viz. Trev, Australia, Zerotracer, Switzerland, Vectrix, Germany and Powerplaza, South Korea will travel across the world and end the first leg of their journey at UN’s Climate Conference in Cancun, Mexico, during November and December. Supported by the world organisation’s Environment Programme, the race after 80 days of travel over 30,000 km through 16 countries with stops in 150 cities, the Zero Race will end where it began, in Geneva, in January 2011. The challenge is to show to the 7 billion people on this planet that we need renewable energy and clean mobility. Renewable energy from the sun, the wind or other sources must be used to power the vehicles. It also requires judgment about vehicle reliability; energy efficiency; design and safety and utility for everyday life. No doubt the world is struggling and taking the issue of greener future on a serious note and many corporates are running the race parallel to the government. Since vehicles running on fossil fuel fall in the list of world’s best polluters, the initiatives such as the one taken up Maruti Suzuki calls for a big applause from people. Consumers who want to go green without compromising much of their existing lifestyle have now options and the responsibility to utilize the offer in a very economical manner. After all it’s ‘our common environment’ that is at stake and no stone should be left unturned to safeguard it. Thanks for featuring great initiative by Louis Palmer.If one is determined to bring changes for good,essetially he can,well demonstrated here. I love to be around cars a lot and you can say that its my passion too.That is why i visit your blog site as it always has a good news to tell about cars and its accessories.Keep posting such interesting posts always and i will keep visiting your blog again and again. Maruti Eeco . This model is great in 2010, but not so good today!